Brussels, October 12, 2016 – Hightech Partners – ITP, a leading European search and management consulting company in the Technology industry in Europe, has appointed Bruno Kraft as a new Partner active in Italy and Southern Europe. Hightech Partners – ITP is delighted to announce that Bruno Kraft is joining its international team of Partners. In 1981, at the age of 26 Bruno set up his first company that commercialized an ERP system for Italian SME’s. Later he developed his career in medium and large companies such as Olivetti, Ma.Te and Gruppo ISA Informatica Santagostino in both operational and financial management. 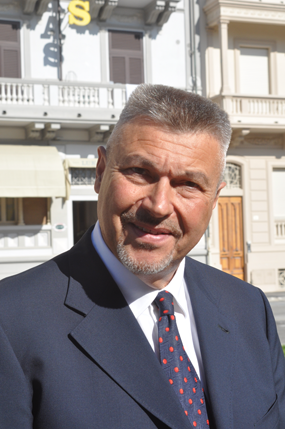 From 1997 to 2003 Bruno was CEO of Tecnodiffusione Italia S.p.A., a leading player in the Italian Digital Technology sector and parent company of Strabilia, Vobis and Microlink with a chain of 450 outlets in franchise. He managed the listing process of the company at Milan Stock Exchange and subsequently managed the European Investor Relations as well as its return to the capital market. After that Bruno became an independent consultant advising technology companies and in parallel he started his own venture in the Tourism sector, with a company based in Forte dei Marmi (Tuscany coast) that became a reference model for luxury tourism in Italy. Bruno is an IT Engineer and during his career has attended (both in Italy and mainly abroad) various courses in Sales, General Management and Financial Management. He is married and he is based in Forte dei Marmi. He is fluent in Italian, English and also speaks French. With over 30 years of experience Hightech Partners ITP is one of the leading boutique search firms in the Technology industry in Europe helping clients in IT Services, IT Consulting, Telecom, Internet & Media, Software, Hardware, Distribution and Cleantech. The company offers Search Services, Board Search, Management Assessment and M&A Services. Hightech Partners has offices in Brussels, Belgium, and Geneva, Switzerland with local Partners situated in major European geographies. Hightech Partners – ITP is part of ITP Worldwide, an alliance of specialized search and consulting firms in the Technology industry in the US and Asia.